This is Cumberland Falls. In the spring this waterfall takes on the personality of a raging bull charging a matador's cape. 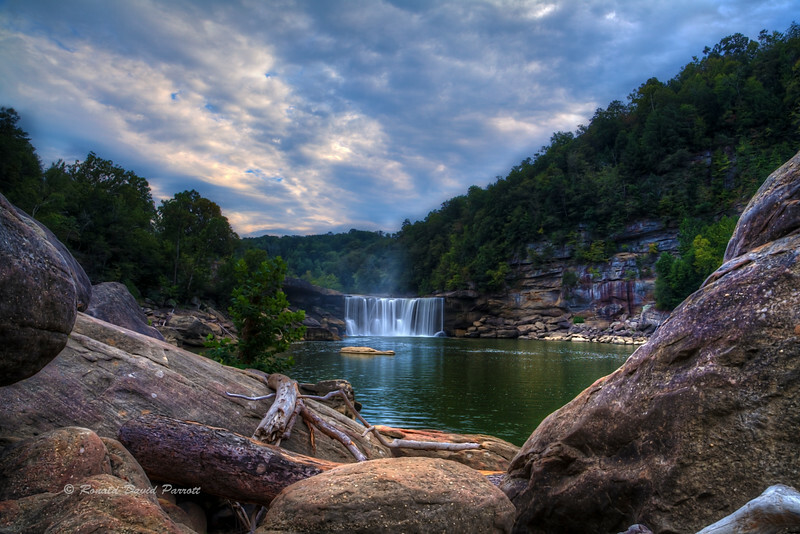 During dry periods (as shown here) Cumberland Falls takes on the personality of an elegant lady at a dinner party.